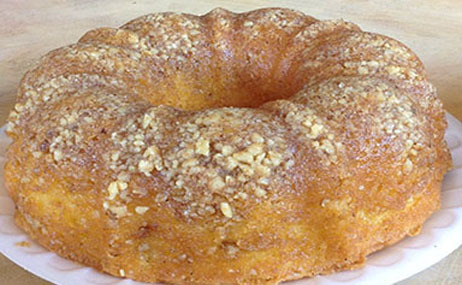 Nana’s most popular cake, the Original Recipe Rum Cake. Made with a delicious, extra moist golden batter, Bacardi Gold ®Puerto Rican Rum, a generous walnut topping, and absolutely drenched with a yummy butter rum glaze. Available as cake balls per dozen. Available with or without walnut topping. For everyone’s Chocolate Lover out there. It’s delicious, moist, velvety Chocolate cake made with Bacardi® Gold Puerto Rican Rum, a generous walnut topping, and delicious rum butter glaze. Makes a great gift, but you better buy an extra one for yourself! 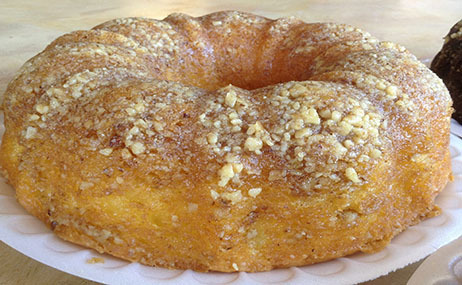 Golden, moist cake made with Malibu Caribbean Rum®, Coconut Liqueur, and pineapple juice. The walnut topping and soaked in butter rum glaze make this newest addition a combination of flavors that will melt in your mouth. 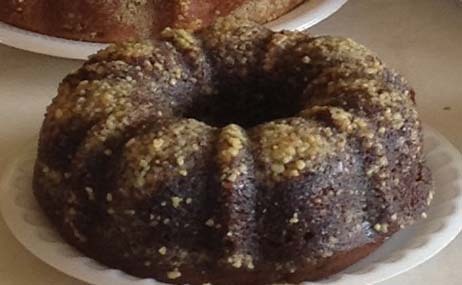 YOU CAN HAVE YOUR NANA'S RUM CAKE WITH OR WITHOUT NUTS! 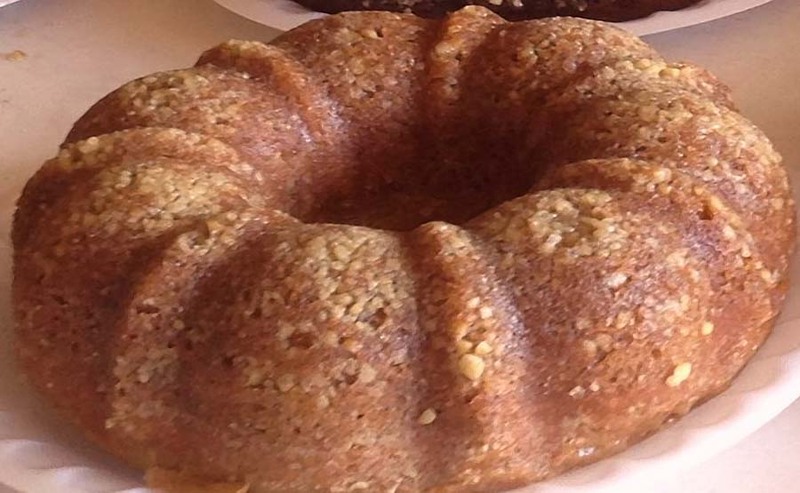 Nana’s popular Spice Rum Cake is made special with Captain Morgan ® Spiced Rum, extra moist spice batter, a generous walnut topping, and soaked in Nana’s Butter Rum glaze. 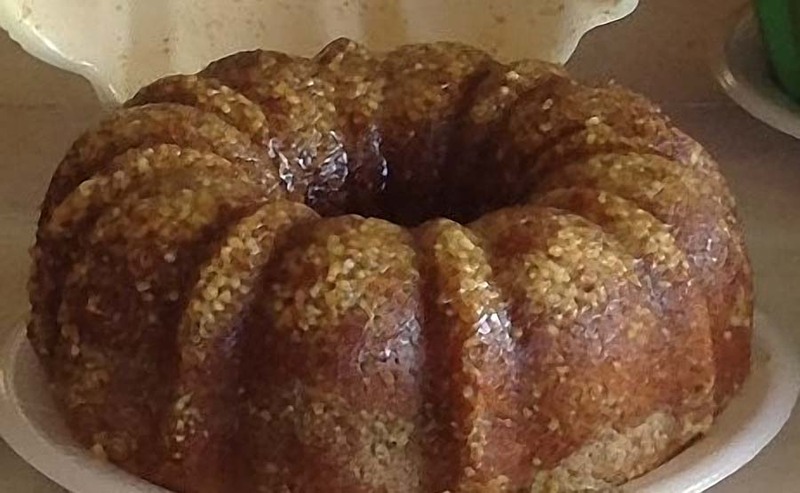 NOW you can have your rum cake AND eat it too. Nana’s Gluten – Free Rum Cake. Made with a delicious, extra moist golden batter, Bacardi Gold ®Puerto Rican Rum, a generous walnut topping, and drenched with a yummy butter rum glaze. 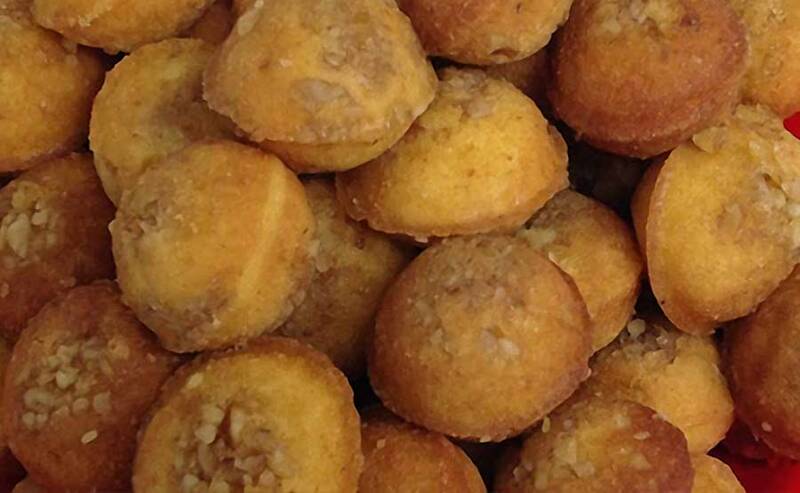 These are bite-sized bits of our Rum Cakes! Sold by the dozen, we dare you to eat just one. They almost melt in your mouth, simply delicious. Original, Chocolate, Spice, Pina Colada, and Gluten Free. Start with a scrumputous Nana’s Chocolate Rum Cake and lovingly add the flavors in Bacardi Cherry Rum . Made with a delicious, extra moist batter, a generous walnut topping, and absolutely drenched with a yummy butter rum glaze.